Looking for a Raleigh Volkswagen dealership? Durham VW is close by. Raleigh is best known as the capital of the state of North Carolina. Its second biggest claim to fame is its Research Triangle, shared with Durham and Chapel Hill. This unique area is made up of Raleigh (home of NC State University), Chapel Hill (home of the main campus of the University of North Carolina), and Durham (home of Duke University). These institutes of higher learning and the science, medical, and technological industries that accompany them, are the reason behind the title “Research Triangle.” Educational and career opportunities draw people to the area, among other pursuits such as shopping, dining, and entertainment. Car shoppers and owners looking for a Raleigh Volkswagen dealership for new and used vehicles and a service center can visit Durham Volkswagen. And that’s just the tip of the iceberg when it comes to all that Raleigh has to offer. Shopping. From small clothing shops showcasing local fashions to Crabtree Valley Mall, you are sure to find plenty of eye-catching bargains. Car shoppers come looking for a dealership in Raleigh, NC, with great deals on new and preowned Volkswagen and other top makes and models. Research Triangle. 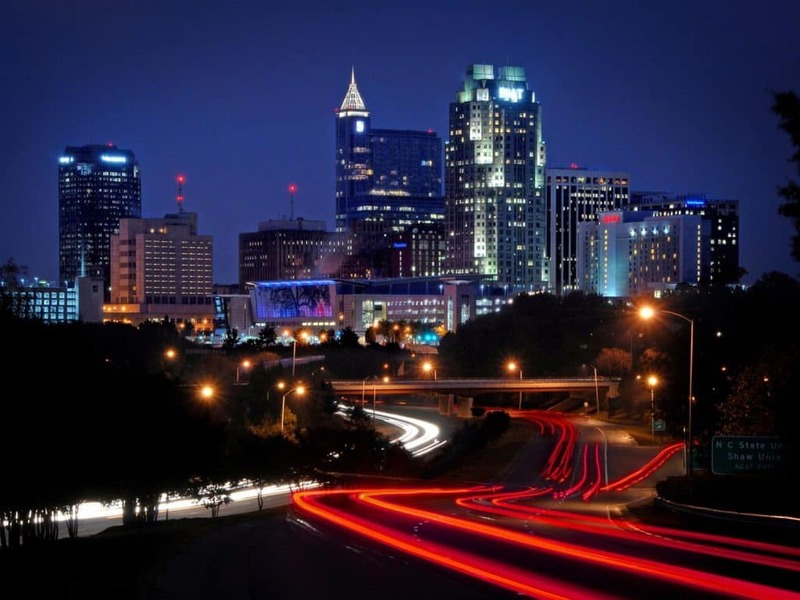 Raleigh, Chapel Hill, and Durham make up an area of science and technology known as the research triangle. With NC State, UNC, and Duke all in close proximity, there are always career opportunities for people in the science and medical fields. The Arts. Live music can be found around town; one popular venue being Kings. Visit the warehouse district for art galleries such as CAM (Contemporary Art Museum). The Duke Energy Center for Performing Arts holds plays, musicals, concerts and more. NCAA Basketball. One of the biggest draws to Raleigh is college basketball. Duke, UNC, and NC State are some of the best college teams in the nation. Catch a game while you’re in town and watch for these teams in the finals. Be well informed for when it’s time to fill out your bracket. Parks. Pullen Park, the first public park in North Carolina, is still drawing visitors who are intrigued by the Dentzel Carousel that dates back to 1911. William B. Umstead State Park offers 22 miles of hiking trails, opportunities for paddling and fishing, and an array of local wildlife in their natural habitats. These parks and more give Raleigh visitors and residents alike a place to enjoy the natural beauty of the outdoors. History. Historic Yates Mill County Park accurately portrays the agricultural history of Raleigh with a working grist mill. The NC Executive mansion was built in 1891 and houses the governor and family. Activities for kids. Marbles children’s museum, the NC Museum of Natural History, and many playgrounds and parks in Raleigh make it an ideal place for kids to play, learn, and let their creativity shine. Being the capital of one of the states that comprises the southern east coast of the United States, Raleigh is in a unique position. Located in the center of the state of North Carolina and an almost halfway point along the east coast of the United States, the city has access to many other cities from a commerce standpoint. Raleigh’s location plays a big factor in the city’s economy and diversity. Definitely a southern city, but not exactly part of the deep south, you’ll notice a melding of cultures that also comes from the rapid growth of the area as people relocate to Raleigh from other cities and states. You’ll find your NC staples like BBQ and sweet tea as well as an eclectic mix of foods from a variety of ethnicities. Raleigh is home to many family-friendly neighborhoods on the outskirts of town, as well as quality urban housing in the city. The cost of living is below the national average, making Raleigh more desirable than other comparable and larger cities. It is the second largest city in North Carolina after Charlotte. Many families choose to live in the suburban areas surrounding Raleigh, such as Cary, Apex, and Holly Springs. If you’re looking for a land of opportunity, Raleigh may just be your place. Find careers of all levels from post-graduate degree positions to entry level and varying degrees of experience. Medical, science, technology, telecommunications, education, pharmaceuticals, and food processing are just some of the industries that are prevalent in Raleigh and the surrounding area. Local businesses make up a significant portion of the commerce in the area. Raleigh is home to many locally owned and operated restaurants, shops, breweries, coffee shops, and other businesses, many of which can be found in the heart of downtown Raleigh. Vehicle service centers and car dealerships like Raleigh Volkswagen, Audi, BMW, and other dealers can be found around the area. Durham Volkswagen has been serving Raleigh and the Triangle for generations with new and used inventory and vehicle service. To inquire about current inventory, call (919)493-7411 or visit Durham VW at 3823 Durham-Chapel Hill Blvd.